Synopsis: ohn Hick's book Christianity at the Centre has long been valued for the way in which it presents many of the central questions of Christian belief simply and clearly, considering Jesus and the God in whoM he believed, the way in which religious beliefs may be said to be knowledge, their practical implications, and the major intellectual difficulties presented by them. At the same time, it has provided a convenient introduction to, and summary of, his own thinking. However, over a decade this thinking has changed, and an opportunity has been taken of revising the book for this new edition. The title itself indicates one of the changes. 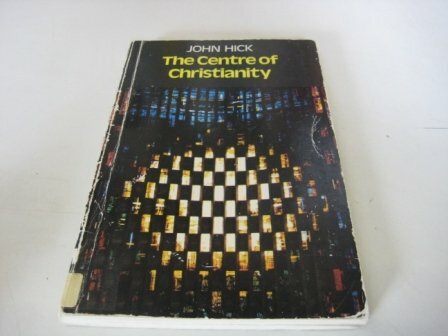 Christianity at the Centre might have seemed to imply some superiority of Christianity over other religions and would not reflect clearly enough Professor Hick's current views on the relationship between faiths; the new title keeps close to the old to indicate that the book is not completely new but it does carry a different emphasis. The new material also covers areas in which Professor Hick has been engaged in further study, particularly the question of life after death and personal survival. About the Author&colon; John Hick is a Fellow of the Institute for Advanced Research in Arts and Social Sciences at the University of Birmingham in the United Kingdom. He has taught philosophy of religion at Cornell University, Princeton Theological Seminary, and the Claremont Graduate University in California, as well as Cambridge and Birmingham Universities in the United Kingdom. He is the author of sixteen and editor of nine books, and his writings have been translated into sixteen languages. He gave the Gifford Lectures in 1986-87 and received the Grawemeyer Award for significant new thinking in religion in 1991.